These tug-type vessels were employed for coastal patrol. Classed as corvettes, they were also equipped for firefighting. The "Imperial Mariner" class corvettes were designed and built by order of Admiral Renato de Almeida Guillobel, to act as guard ship, tugboat, miner and sweeper. 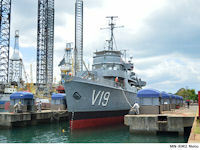 Already in the 1990s, the remaining units retained only the characteristics of patrol unit and rescue (tugboat). Their rails for mine launches and scanning parabells were no longer on board. The biggest restriction of these ships on patrol missions was their slow speed compared to the current speeds of merchant ships. The corvette has a maximum maintained speed of only 12 knots. One unit wrecked 12 November 1996. The former "Imperial Mariner" Corvette was inaugurated as a museum ship, on 21 January 2016, in Rio Grande (RS). 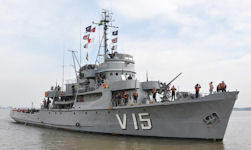 The new tourist attraction will work next to the Nautical Museum as an educational space and instrument of dissemination of Brazilian naval history. 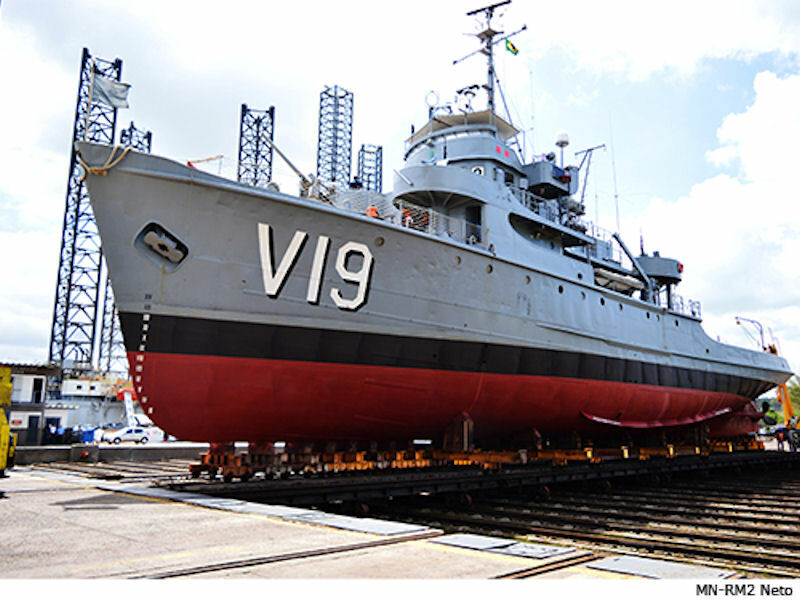 The museum vessel was withdrawn from the Active Service of the Navy as a Navy Ship of Brazil on August 5, 2015, and is the result of an agreement between the Brazilian Navy and the Federal University of Rio Grande (FURG). 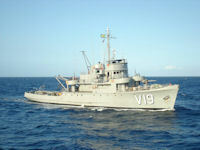 Corvette "Caboclo", a ship belonging to the Eastern Naval Patrol Group, held the fifth expedition of the Scientific Research Program on the Island of Trindade (Protrindade), in June 2016, from June 29 to July 8. The trip had the objective of transporting researchers who study the Trindade Island, located in the Western Atlantic Ocean, about 1,170 km from the Brazilian coast, in the city of Vitória (ES). 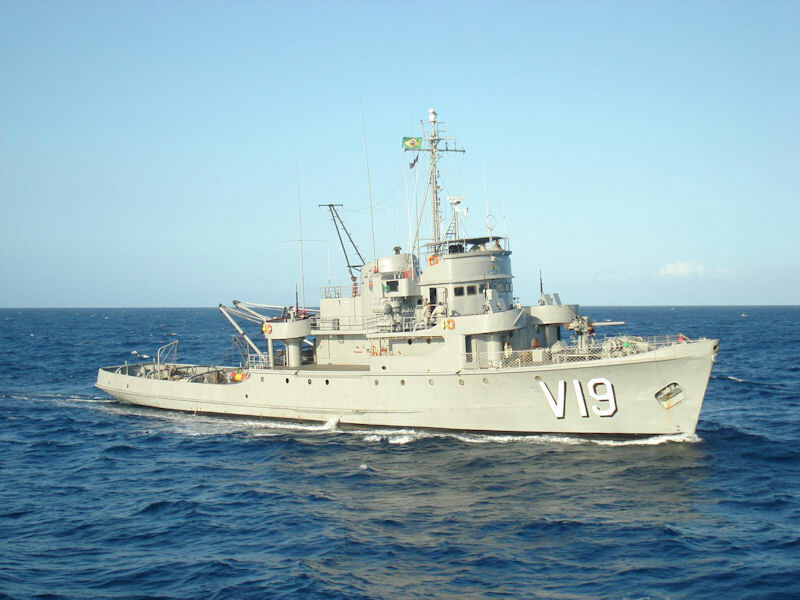 "Caboclo" untied the Aratu Naval Base in Bahia, with five researchers on board and, in return, brought 10 researchers, who landed in Ilhéus, in the south of Bahia. Doctor in biotechnology, researcher Gideão Wagner Costa highlighted the importance of the expeditions of Protrindade. "Many universities are unable to provide transportation support to oceanic islands, so Navy assistance is critical to understanding the biodiversity of our seas." Trindade Island is a Union property, administered by the Brazilian Navy, through the 1st Naval District Command, which maintains a permanent garrison to operate the Trindade Island Oceanographic Station (POIT). The POIT provides daily meteorological information for various forecasting centers on the continent and its garrison also provides support to researchers conducting studies on the island through Protrindade, which is coordinated by the Secretariat of the Interministerial Commission for Marine Resources. 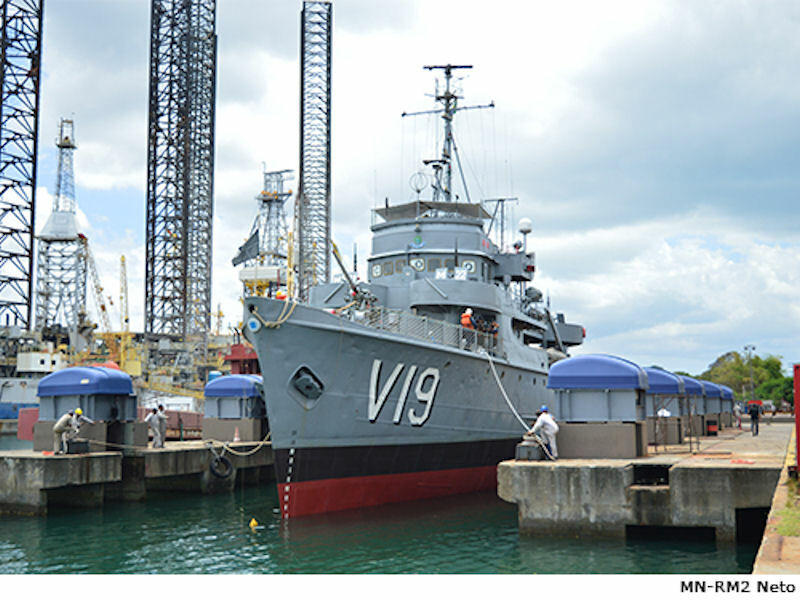 The Aratu Naval Base (BNA) completed the Período de Docagem Extraordinária (PDE - Extraordinary Docking Period) of the "Caboclo" Corvette, in the Ship Lift System (SELENA) on 20 December 2016. During the "Caboclo" PDE, mechanical and hydraulic revisions of the rudder were carried out; cleaning and painting services of living and water works; cleaning and treatment of tanks. For the Commander of the BNA, Captain de Mar and Guerra Marcio Tadeu Francisco das Neves, the execution and completion of this repair demonstrates the degree of professionalism of the military and civil servants of the military organization, helping to guarantee safety at sea. In the period from May 23 to June 7, 2017, the "Caboclo" Corvette, subordinated to the Command of the Eastern Naval Patrol Group, held the commission "Expedition of Scientific Research Program on the Island of Trindade (PROTRINDADE IV)". to provide the necessary means and support for transportation, the permanence of researchers and the conduct of scientific research on Trindade Island, the Martin Vaz Archipelago and adjacent maritime areas. The commission began with the unloading of the "Caboclo" from the dock at the Aratu Naval Base in Salvador (BA), followed by a three-day crossing to its destination, the Trindade Island Oceanographic Post, located about 1,170 km of Vitória (ES). During the period when it was based in the vicinity of the island, the corvette provided support to researchers in the development of scientific research involving local fauna and flora. The Trindade Island Scientific Research Program (PROTRINDADE IV) was created in April 2007 to manage the development of scientific research and to enable the collection, systematization and dissemination of scientific knowledge about the region.